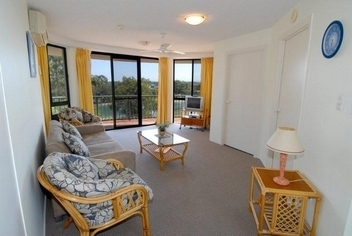 Excellsior offers spacious and luxury One bedroom apartments in the heart of Mooloolaba , Sunshine Coast. Excellsior is the perfect place for holiday and accommodation.Excellsior Also offer two bedroom apartments in the a joining buildings. Riva & Sailfish Cove. 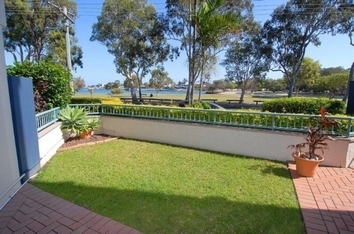 1 Bedroom fully self contained apartment with private balcony over looking the water. 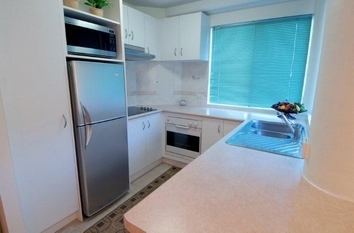 Two bedroom fully self contained apartment with spa bath. Please refer to individual room types for extra guest charges. From Brisbane road turn into Foote street at round about (MacDonalds and Shell) . Turn right into River Esplanade. 100 metres on the right. 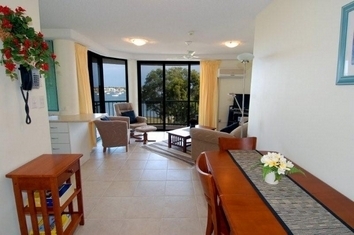 Situated near the White Sand Beaches of Sunshine Coast,near Mooloolaba,Excellsior has 6 floors. 28 One bedroom fully self contained apartments with attached balcony of which 5 are Penthouse with private roof top. Beautiful water views from every apartment. The Excellsior has a great location, offering the quietest accommodation in the heart of Mooloolaba nestled in a cul-de-sac with no through traffic. A short walk takes you to the beach and all of Mooloolaba's restaurants, cafes and is conveniently located close to Underwater World and the Wharf complex.